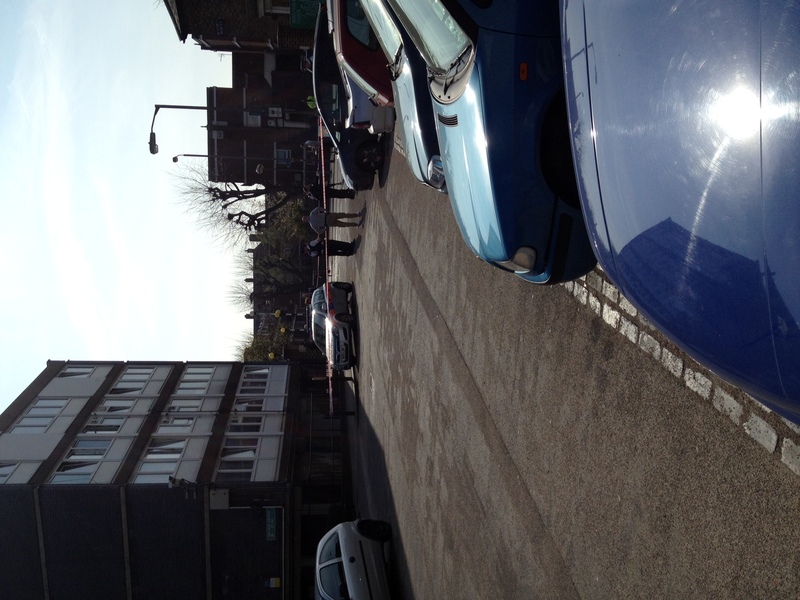 Man shot on Winstanley Estate: What can we do? Police are looking for two suspects who were seen on a black motorcycle prior to the shooting. Witnesses saw the motorcycle made off along Plough Road, turning left into York Road. Anyone with information or witnesses are asked to call the incident room on 0208 785 8589 or anonymously on Crimestoppers 0800 555 111. Groups of people gathered along Thomas Baines Road, in the square outside Pennethorne House and across the estate discussing the shooting and trying to make sense of what had happened. 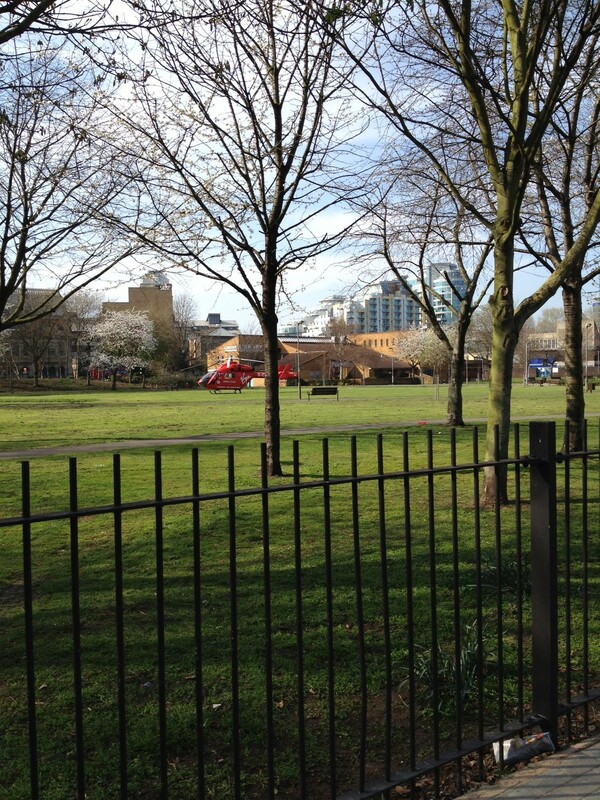 The closure of York Gardens (where the air ambulance landed) was sad as a wedding party of 400 people was turned away from their booking at the Library. I was on the estate for a meeting in York Gardens Library with residents and councillors to discuss £1m in National Lottery funding which was recently won to fund activities in the local area. 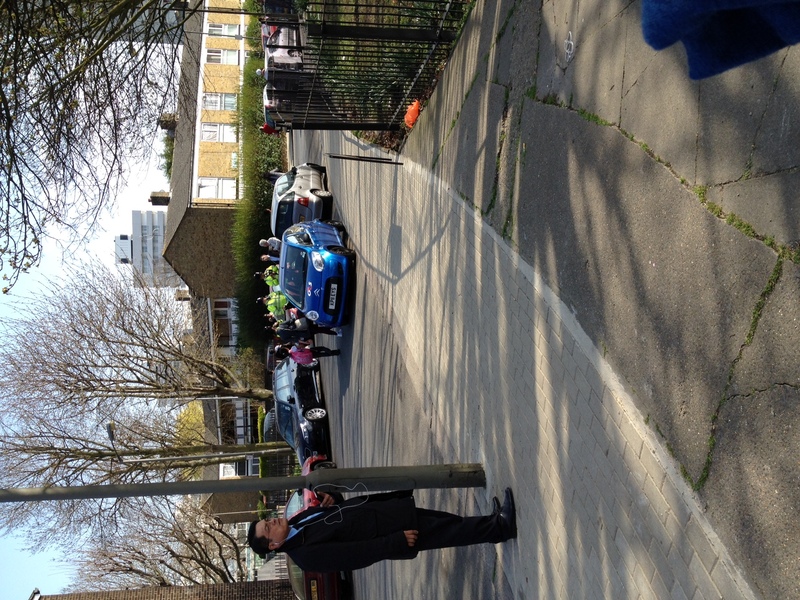 The meeting went ahead in Thames Christian College’s school hall. The key with the £1m Lottery funding is that the community – not politicians – will decide how it is spent. The Winstanley Estate is also due to benefit from a large planned investment in Latchmere’s estates. Tony, Wendy and I plan to spend the next few months listening to residents about how the Winstanley Estate can be improved. Last weekend we heard ideas from 300 residents of the Winstanley Estate – tomorrow we will be knocking on doors on the York Road Estate. Ideas so far include: improved public space, a boxing club, cookery lessons for children, mentoring schemes, more family-sized flats, community gardens, more CCTV and “knock the lot down”. Please get in touch with your thoughts about how we can make the Winstanley Estate a better, and safer, place to live. 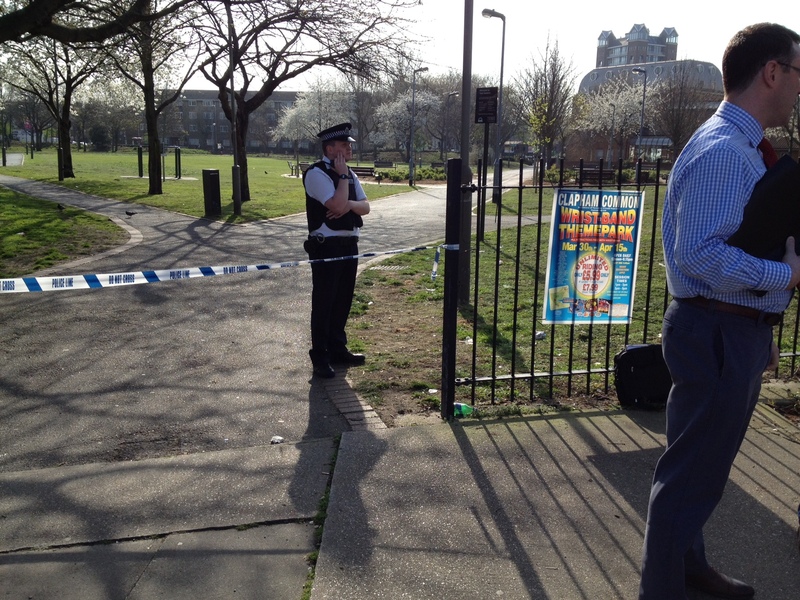 This entry was posted in Uncategorized and tagged Big Local, Crime, Estates, Shooting, Winstanley Estate by Simon Hogg. Bookmark the permalink. 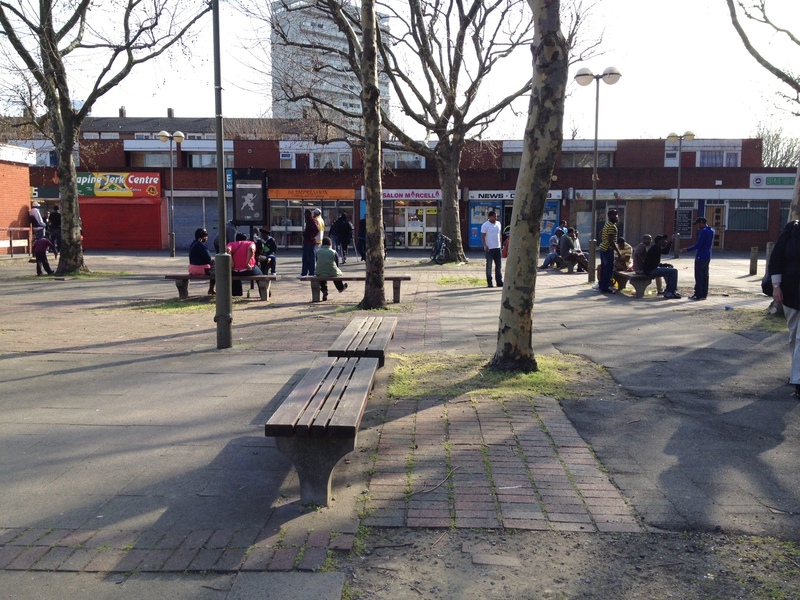 How can we improve The Winstanley Estate? Easy question to ask but not so easy to answer. The truth is, that until this countries government wises up to the state our country is in, we are never going to be able to improve The Winstanley Estate or any of the other council estates throughout London and the UK! Our schools fail kids on a daily basis and yet for the sake of statistics it’s encouraged! If a child is a low performer then the parents are asked not to bring their kids in on a week when they are sitting their SATS. A child is under acheiving in High School and the school let them slide under the radar for 4 years until it comes time for them to start sitting their GCSE’s and then start to pick up on their poor behaviour and so ensure they set the wheels in motion so that they are expelled just in time for them to not be able to sit their exams and just too late for them to be able to get into another school. Try helping kids from the outset of their lives, and encouraging them when they start to fall down, instead of brushing them under the carpet and moving them on to become another man’s problem, then sitting around scratching your heads wondering why on earth our kids are walking around with knives and guns thinking that’s the right way to live their lives. If a child does wrong then it’s up to a parent to discipline them, yet in this country we do not have the rights to smack our children, if we ground them they are able to walk out of the door because we now do not have the right to restrain them (might be classed as taking hostage) and if we lock them in the house, will be classed as holding hostage. So what is a parent supposed to do? the government took our rights away, and yet blame us when it goes wrong. Yet they are the reason it goes wrong as they have basically told kids growing up these days that they have all the rights and us adults have none! You get funding to build nice parks and youth centres, but to be honest that’s like putting a plaster on an amputated leg…………….it’s not going to stem the blood flow!!! But then i don’t think you really want to stem that flow of blood because for all you people in government it doesn’t really affect your lives, it’s not you who wake up and live our lives on a daily basis. The reason you build these parks and youth clubs is to hide the problem. So you can take your little press pictures, get your condescending comments printed in the local rag and then move on to the next “little good deed project” you have stumbled upon. We live this life, the fear, the pain, the heart break every waking moment of our lives. So start doing something more constructive to help this country, because if things keep going the way they are, it’s going to be too late. Simon I think all of the answers you need were given to you last Thursday. When a regeneration meeting is cancelled because of a shooting you need look no further for the truth. Unless you are looking for something else. But hats off for actually mentioning this shooting at all. There has been a deafening silence in all other media. Imagine the noise that would have been caused if someone had been shot 2 miles up the road in Whitehall. Is this kind of ‘incident’ intentionally hushed up by the interests of the millionaire property developers over the road from where it happened? Are the police withholding information in the same authoritarian style that sparked the Summer riots? Surely we have a right to know about what is actually going on in our borough. Simon, do you have any more news on what happened or why? Hi Simon, I think that your idea of linking the various RA, residents and community groups in the area about their ideas of how to improve the estate is the right way to go because they are the people who lives there. If everyone is involved to better their community, know each other, and build together services, ideas and renovation they can be proud of in their estates and improve it, they will do their best to keep it that way. What is needed is also more people dedicated to their area to improve it and pass the word about what services are available for residents not in the loop to use them. A positive exemple is the Doddington Community Garden or York Gardens library where residents and community groups got together to improve their Estates and services while getting to know each other. Such a pitty about the shooting though, it will bring bad publicity for the excellent services already on offer there… I want to see more positive news about the area, as for me it has been such a great place to live and I met many fantastic individuals living there too. If more residents become involved to better it, the scale might tip the other way. Services in this area should not be cut. On the contrary they should be retained, improved and extended with residents praising them to others. If you are interested in finding out more about the Big Lottery investment in the area that Simon talks about in his Blog, then check out http://www.localtrust.org.uk/big-local/. The programme is called Big Local, and an area of Clapham Junction and West Battersea (Including the Winstanley and York Road estates) is one of 100 areas in England working towards residents investing £1 million in improving the area over the next 10 years. I am the Big Local Rep for the area, and will be working to support local residents and organisations thorugh the early stages of the process. You can contact me on the website above to find out more, and to share your thoughts and energy on how to make themost of the opportunity. There’ll be a community meeting in May to creatively think about the next steps – if you are interested in coming, get in touch.